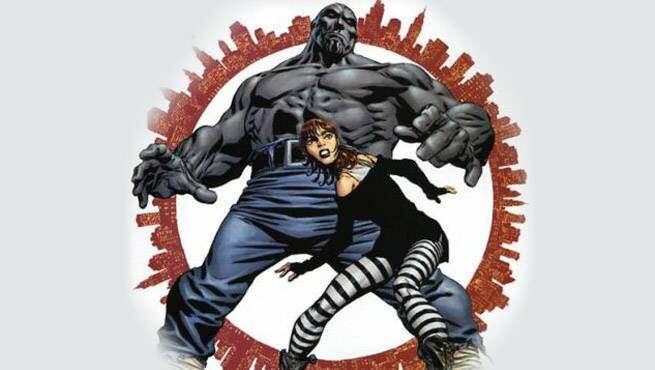 Justin Gray and Jimmy Palmiotti's DC series The Monolith is on its way to the big screen. The project is being developed by Lionsgate, and currently, features Dave Wilson at the helm. While this will be Wilson's inaugural Directorial effort, he has operated as Creative Director at Tim Miller's production company Blur Studio (via THR) for quite some time. Blur has worked films like Thor: The Dark World, The Amazing Spider-Man 2, and Avatar. As for the project itself, The Monolith is a story about a powerful Golem created during the Great Depression in the 1930's. The creature was made to protect New York from the dark underworld that threatened its citizens, but at some point, the Golem was sealed away. An ex-junkie named Alice Cohen finds a diary in her grandmother's house and manages to release the Golem to continue his protection of New York. Now Alice is responsible for keeping him in check. The story lasted 12 issues and was published by DC Comics in 2004 and 2005, but later moved over to Image Comics. In addition to Wilson, Erwin Stoff is producing and Barnett Brettler is penning the script. This is one of his first major projects. Wilson has also been heavily involved in visual effects work for video games, including Mass Effect 2, BioShock Infinite, Planetside 2, Star Wars: The Old Republic, and Ubisoft's The Division. He also had a hand in Marvel Studio's Avengers: Age of Ultron.